'Exploring J.R.R. Tolkien's The Hobbit': A Reminder To Tolkien Fans Of Their First Love Fans of Middle Earth tend to fall in love with The Hobbit as children, says self-described "Tolkien professor" Corey Olsen. But once they move on to The Lord of the Rings, they never come back. That's a great shame, he says, so he's written his own book to honor the classic fantasy novel. 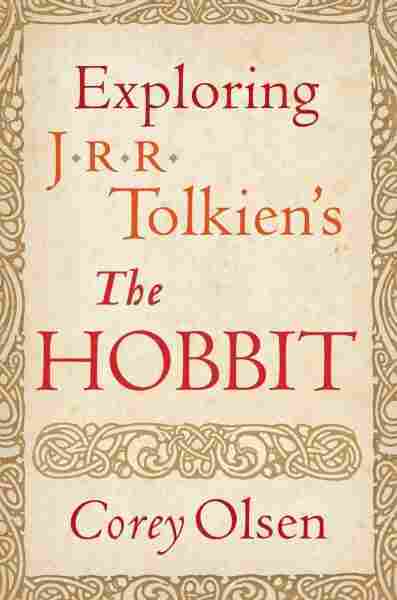 Seventy-five years ago, J.R.R Tolkien wrote a book for his children called The Hobbit. It isn't just a landmark piece of fantasy literature; it's a movement — a work that's inspired everyone from director Peter Jackson to the band Led Zeppelin to Leonard Nimoy (who recorded his own homage to the book in the late 1960s — "The Ballad of Bilbo Baggins"). Yet though it's widely celebrated, The Hobbit's always kind of existed in the shadow of Tolkien's other great work, The Lord of the Rings. Corey Olsen, self-described "Tolkien professor," tells Guy Raz, host of weekends on All Things Considered, that Tolkien fans tend to fall in love with The Hobbit as children, then move on to The Lord of the Rings and never come back. That's a great shame, Olsen says, so he's written his own book, Exploring J.R.R. Tolkien's The Hobbit. "[Tolkien] was born in 1892, so he grew up with a steady diet of Victorian fairy tales ... and there was a trend, of course, in the 19th century to kind of gloss over [dark themes]. Andrew Lang's collections of fairy tales takes out the more gruesome elements from the Brothers Grimm, for instance. Tolkien was strongly opposed to this, you know, he said, children aren't meant to be Peter Pans. They aren't meant to be just sheltered and protected from anything gruesome. They are meant to grow up. That happens, they can gain wisdom and strength from being exposed to these things and knowing that these things are out there." 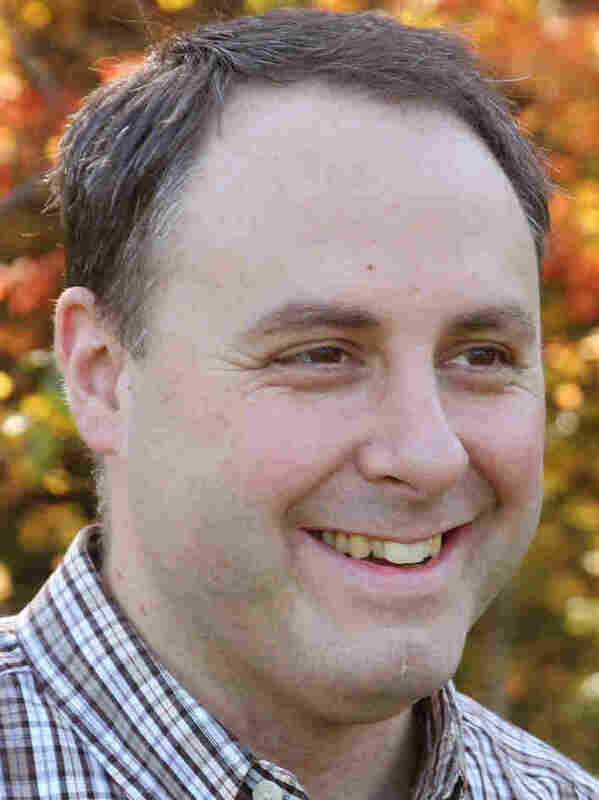 Corey Olsen is an English professor at Washington College in Maryland. He is also the president and founder of the Mythgard Institute, an online teaching center for the study of Tolkien and other works. "You can hear how interactive, how dynamic Tolkien was making it. You can tell from his reading that this is something that he conceived of as an oral performance, this is something that he used to read to his kids, and The Hobbit still to this day works so well aloud. "I've already read it aloud to my sons, and it's fantastic, but while this has all of kind of preformative appeal — and Gollum is not too scary, but quite creepy, and you've got all of the fun of the riddle game, and the kids get to guess the riddles, and everything — at the same time, there is a lot of complexity here when you look at it carefully. The riddles that each one of them choose to tell, and how they express it, really, when we pay attention shows us a really clear picture of Bilbo's bright cheerfulness and Gollum's despair." "He talked a lot about myth and the power of mythic stories. How myths, great myths, really sort of tap into things, images and imaginations and desires in people, and I think that is one of his highest aspirations for his own stories. "There might be elements of that kind of mythic appeal in his story, and I think that he succeeded quite remarkably in that, and that's what I contribute that staying power to."